117 Tips, tools and tactics to help you to get the maximum return on your investment in customer service training. It’s estimated it costs anywhere from 5 to 8 times more to gain a new customer than it does in getting repeat business from your existing ones. Handled correctly repeat customers are significantly easier to sell to and MORE PROFITABLE than new customers. So it makes perfect sense to invest time and energy into looking after your existing customers. And of course to do this you need the help of your team. But, the shocking truth is customer service training on its own is never enough. The training has to be more than a tick box exercise if you want it to be effective. What happens before and after is just as important if you are to get a return on your investment of time, money and effort, and start to see a positive impact on your customers’ experience and their long term loyalty. So here are 117 tips, tools and tactics to help you to get the maximum return on your investment in customer service training. Meaning you can be sure your team don’t forget everything the minute they return to their job. And you can be confident in your team’s ability and trust them to do what’s needed to deliver an exceptional customer experience. 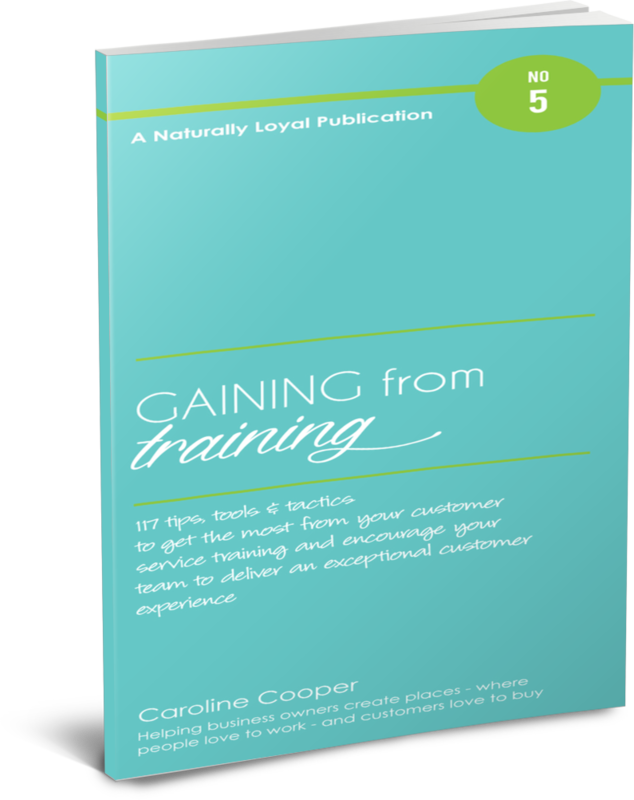 117 practical tips, tools and tactics to get the most from your customer service training and encourage your team to deliver an exceptional customer experience.